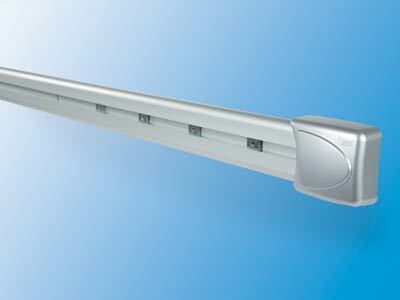 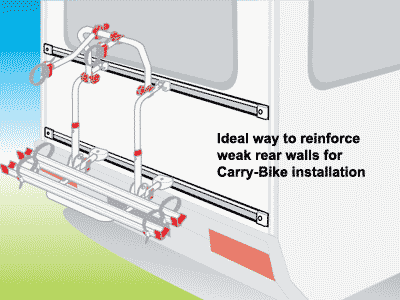 Included in the Fiamma Fixing-Bar Carry-Bike system are a pair of reinforcement bars of 240cm in length. 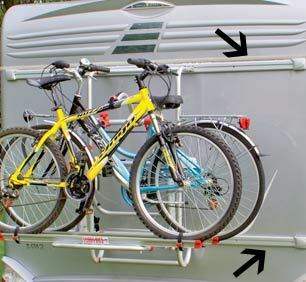 These bars are ideal for installing the Fiamma Carry-Bike to motorhomes with a weak rear wall. 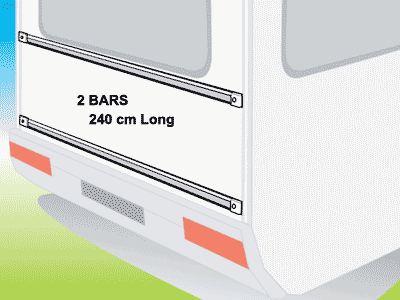 Suitable for weak rear walls.